Our mission is to help people achieve their full potential. We do this by aligning individual, team, and organizational strategies with emotional intelligence, leadership skills, competency development, and communication training for small to mid-sized companies, municipalities, and non-profits who are relentless in their focus to continuously improve and build stronger, more engaged workforces. As part of our mission and belief that everyone has the capacity to achieve their full potential; Quest2 Consulting supports and partners with MenzFit, an educational non–profit organization whose mission is to help low-income and largely minority men achieve long–term employment and financial fitness. We are honored to donate 5% of all paid workshops and trainings to this meaningful organization. Quest2 Consulting is a proud partner of TTI Success Insights® (TTI SI), the world’s leading developer of research-based, validated behavioral assessments that enable organizations to use the Science of Self™ to reveal and harness the talent and skills of their greatest asset—their people. TTI SI has spent more than 30 years researching human behaviors and motivations. The company’s assessments, which are based around five behavioral sciences, empower individuals with greater self-awareness by informing them about how they behave, why they behave a certain way, and what skills they possess and have mastered along the way. But we take it even further. 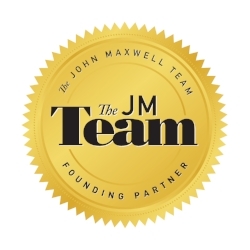 We are also an approved facilitator and Founding Partner on the John Maxwell Team delivering programs and incorporate the spirit and principles of his model. John Maxwell is a #1 New York Times bestselling author, coach, and speaker chosen by Inc. Magazine as the world’s most influential leadership expert by Inc. Magazine and voted “#1 Leader in Business” by the American Management Association. His organizations—The John Maxwell Company, The John Maxwell Team, and EQUIP—have trained more than six million leaders on every continent and in every nation.